During the morning of the final day of the 2018 Viana PWA World Cup, many of the sailors were taken on a tour of the beautiful Viana do Castelo. Upon arrival back to the event site there was a hint of wind that gave some hope that a final race could be held, however, no sooner had it threatened to kick in, it backed off. 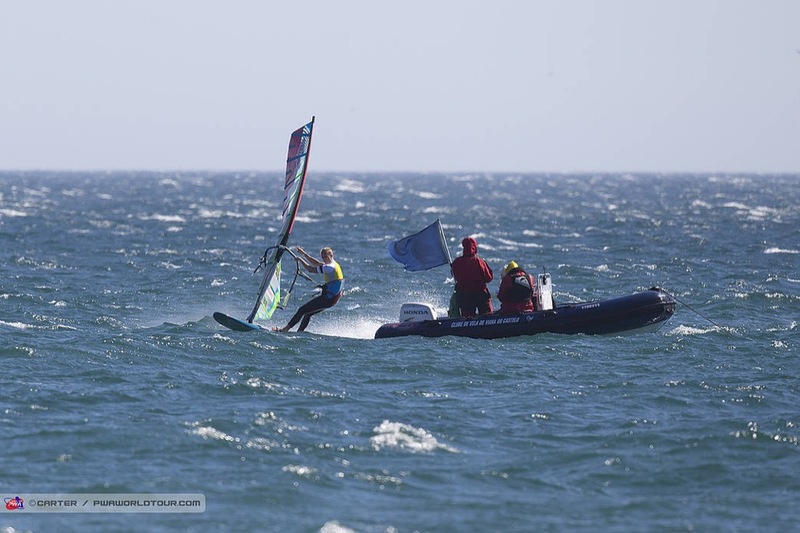 With the conditions not improving the sailors were released shortly after 3pm meaning that Delphine Cousin Questel (Starboard / S2Maui) is officially the hugely deserved 2018 Women’s PWA Slalom World Champion. The 26-year-old has barely put a foot wrong this season and walks away with a clean sweep having won every event. Meanwhile, Matteo Iachino (Starboard / Severne / Shamal Sunglasses), maintains control of the title race in the Men’s Slalom as he walks away from Portugal with his second event of the season, but Antoine Albeau (RRD / NeilPryde) is only 100 points behind, while Pierre Mortefon (Fanatic / NorthSails / Chopper Fins) completes the event and overall top 3. We’ll be back on Friday with a full review of the event and also analyse what happens to the overall rankings after Portugal.